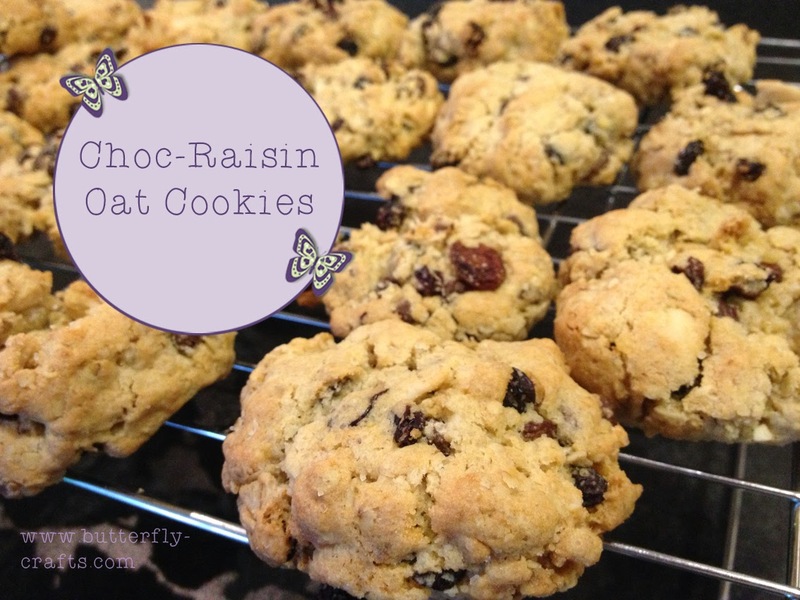 Butterfly-Crafts: Oatmeal, Choc Raisin cookies - My Favourite Cookies...Ever! Oatmeal, Choc Raisin cookies - My Favourite Cookies...Ever! This Christmas gone I made up some jars of cookies for family as gifts and one of the cookies included were Oatmeal, Choc Raisin Almond cookies and I have to say, they are my favourite cookie to bake...ever! I thought I would share the recipe here with you all for you to enjoy and if you need a lovely handmade gift that is quick to make why not make a batch up and put in a nice jar or gift box. This recipe will yield around twenty five cookies depending on the size you make.